Richard N. Berry, P.E., Inc.
Richard N. Berry P.E., Inc. 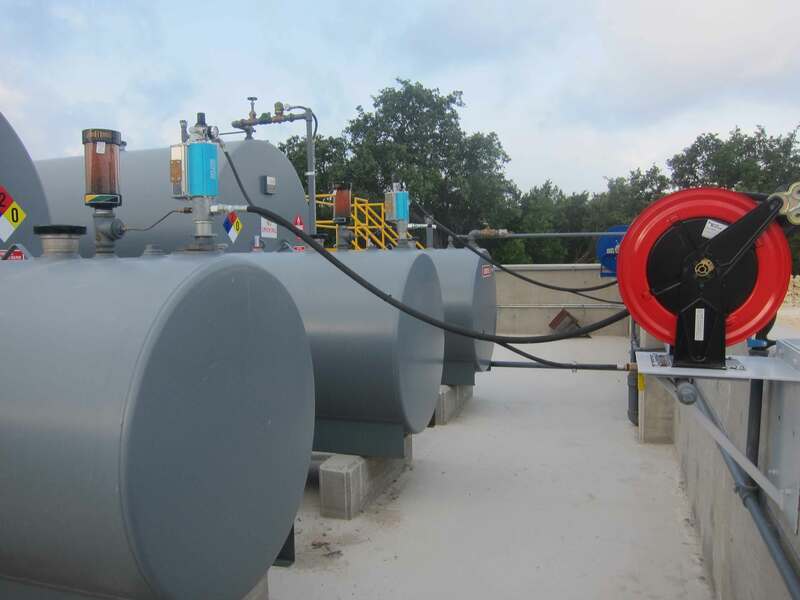 Above ground Storage Tanks (AST) system designs. 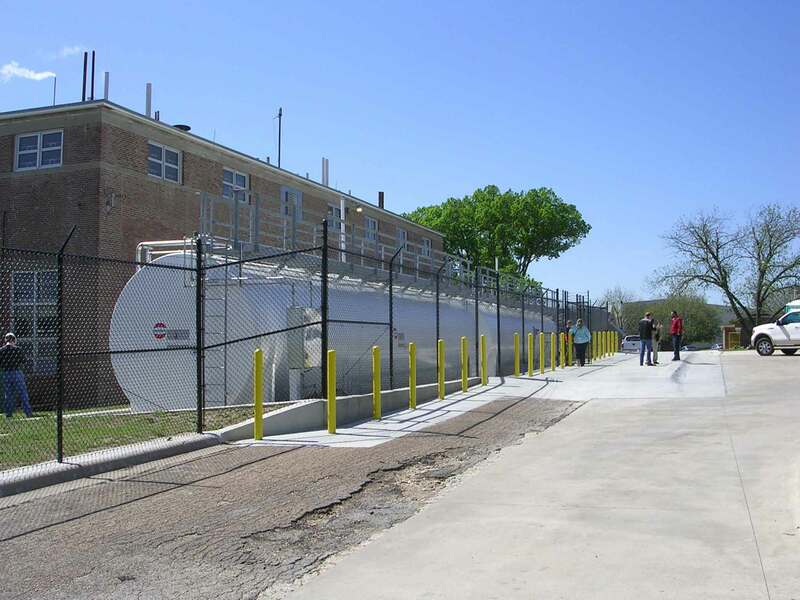 Underground Storage Tank (UST) system designs. We can provide opinions and design criteria or facility inspections in the design process, or review any plans as needed. Consulting with respect to TAS compliance during the design phase of the project. Plan reviews and facility inspections upon completion of the design documents. RNB provides engineering services related to environmental issues at airports and other facilities. Spill Prevention, Controls, and Countermeasure Plans (SPCC) plans, 40 CFR Part 112. Storm Water Pollution Prevention Plans (SWP3), Texas Multi-Sector General Permit and Construction Plans. Plans required under the Edwards Aquifer Authority. Texas Commission on Environmental Quality (TCEQ) Chapter 213 plans for Recharge, Transition, and Contributing Zones. This is a helicopter fuel dispenser for an air ambulance. This dispenser is located on the 10th floor flight deck of a hospital. 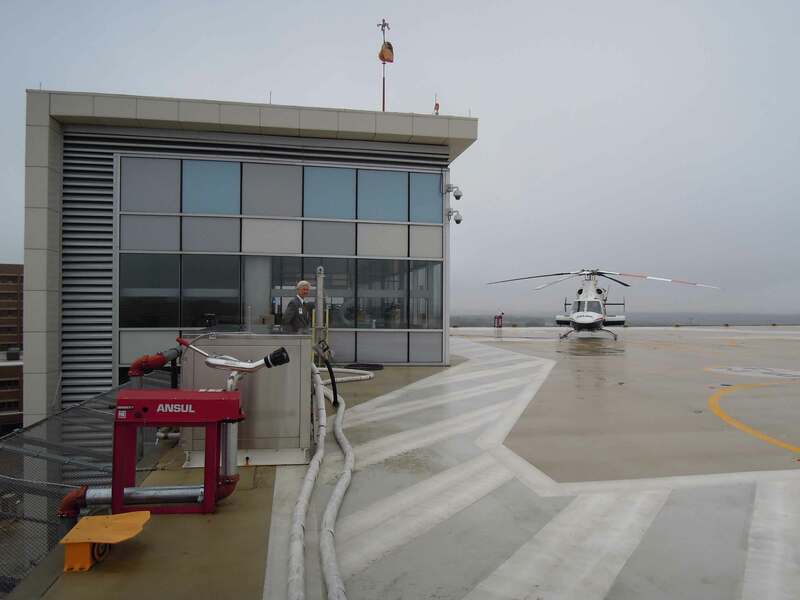 This is the 10th floor flight deck for a hospital air ambulance. The fuel dispenser shown dispenses fuel from an underground storage tank located at ground level. 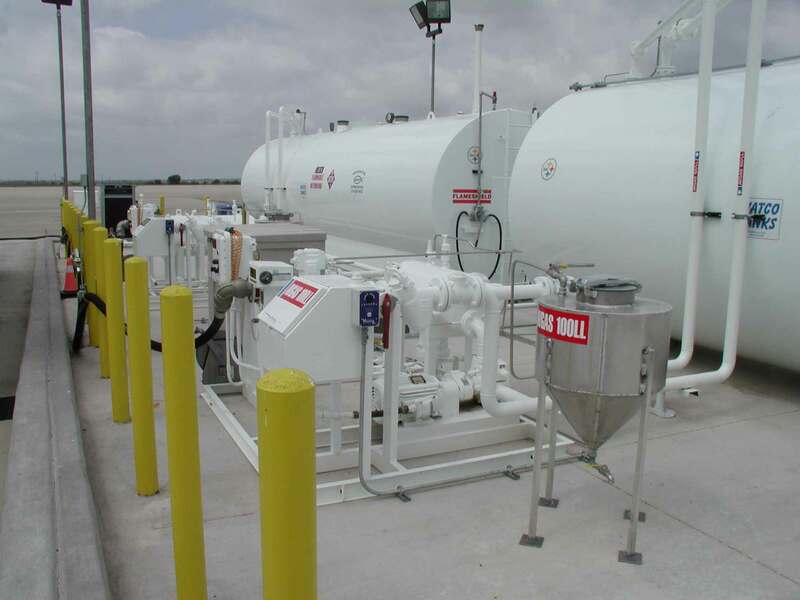 This is a 600 GPM loading area used to fill fuel trucks. These trucks fill commercial aircraft at an airport. This system has been in service many years. This is the storage and dispensing system for Avgas and Jet A located at a General Aviation airfield. This is a view on top of fuel tanks looking down on the pump systems at a General Aviation airfield. Avgas and Jet A systems at a North Texas GA airport. 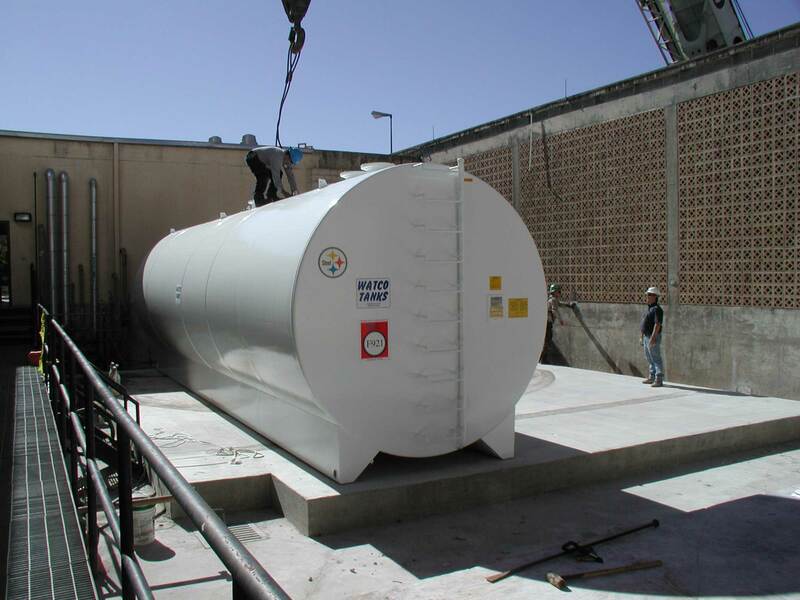 This is the first of several tanks being set which will be used to store diesel fuel for use in boilers and emergency generators at a large industrial campus. 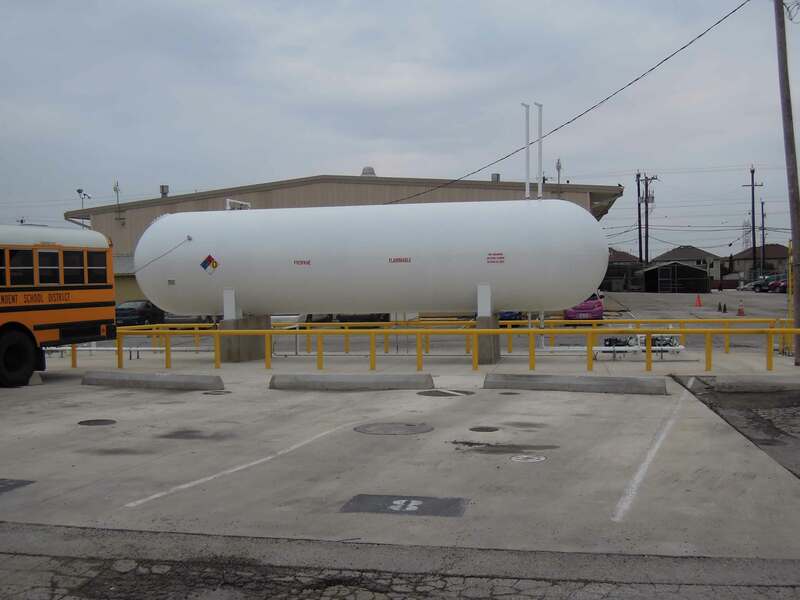 These are fuel storage tanks for boilers at a large industrial facility. The boilers provide steam for many uses. These are fuel and lube oil tanks and pumps used at a quarry. This is a school district bus storage and maintenance facility. 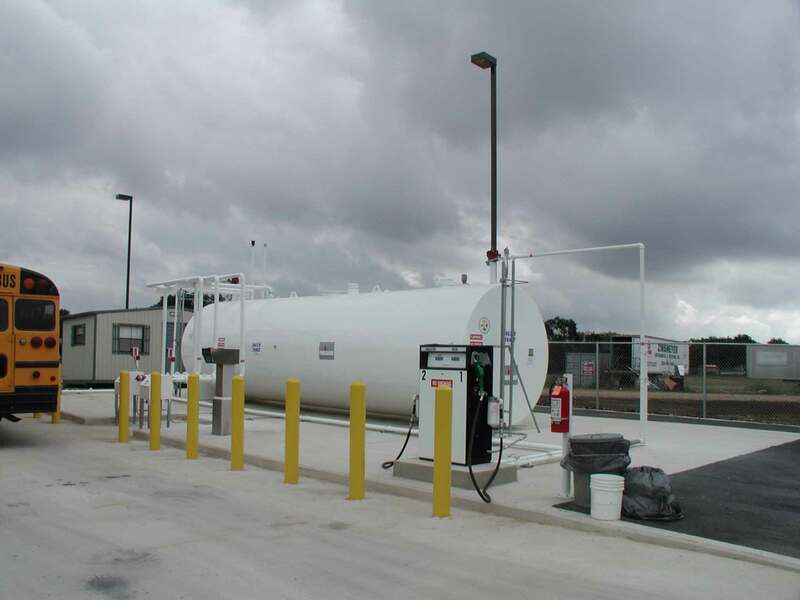 This is a diesel fuel filling station for a small school district. About Richard N. Berry, P.E., Inc.
Richard N. Berry, P.E., Inc. was founded in 2000 as a small engineering firm offering services in three main areas of practice. 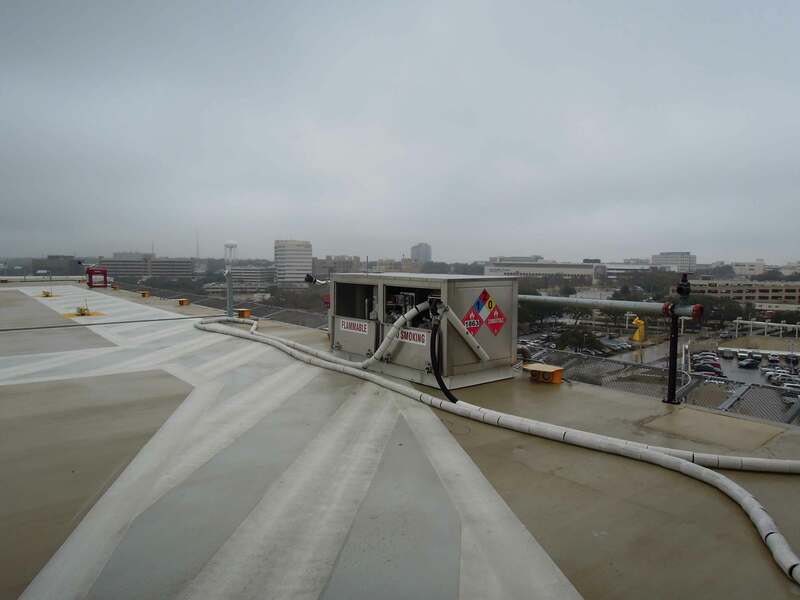 The first is design services related to fuel systems for airports, truck maintenance terminals, school district bus maintenance yards, and other commercial and industrial facilities. The design method used by RNB includes working closely with the client and/or the end user to ensure that the constructed product meets the needs and expectations of that client. The second is consulting services related to the Texas Accessibility Standards (TAS), known to most people as the Americans with Disabilities Act (ADA). Finally, the third is environmental engineering. 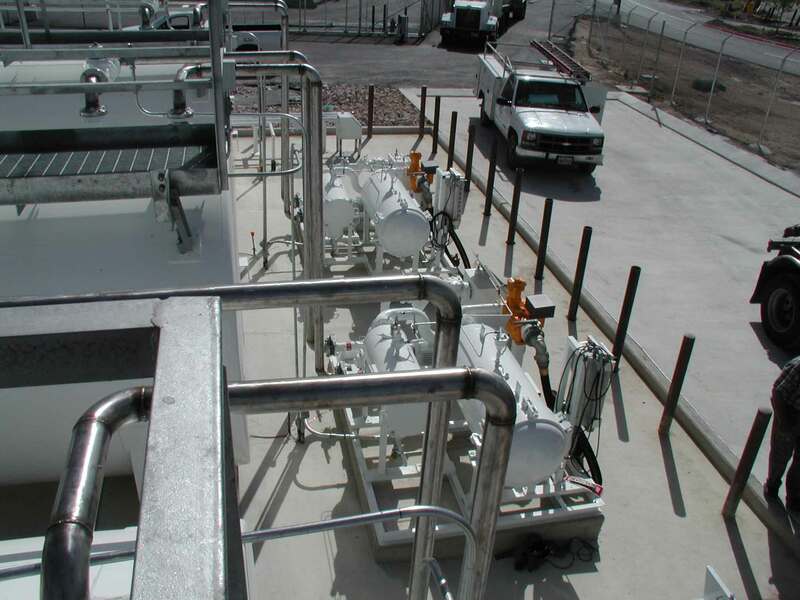 Design services provided by RNB include, but are not limited to, underground and aboveground fuel storage systems, pumps and pump skids, all necessary dispensing equipment, fuel management systems, and containment systems if required or requested. Fuel types for which storage and dispensing systems have been designed include biodiesel, ethanol based fuels, Avgas, Jet A, gasoline, diesel fuel and diesel fuel exhaust fluid (DEF). 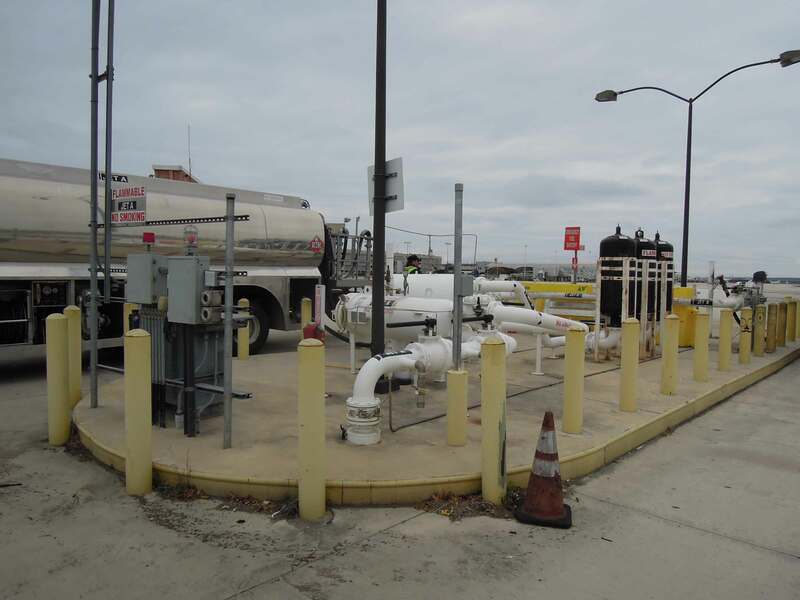 Other related design services include oil/water separators to prevent storm water in the area of the fuel systems from becoming contaminated, containment systems at fuel transfer areas, and EPA mandated Spill Prevention, Control, and Countermeasure (SPCC) plans in aboveground applications.